Just before he committed suicide, Adolf Hitler sent Julius Schaub to Munich to destroy documents concerning his past. Lothar Machtan, the author of The Hidden Hitler (2001), has pointed out: "The finest proof that he really could count on their loyalty was supplied at the end of April 1945, once again by Julius Schaub, who left the flaming ruins of Berlin at the last possible moment and set off for Bavaria, where he emptied the safes in Hitler's Munich apartment and on the Obersalzberg and burned their contents. What these documents were, Schaub doggedly refused to divulge until the day he died. All he once volunteered, in a mysterious tone of voice, was that their disclosure would have had 'disastrous repercussions.' 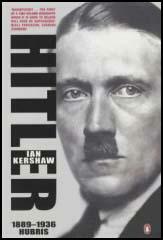 Probably on himself, but most of all, beyond doubt, on Hitler." It is believed that some of these documents might have concerned the Geli Raubal case. Over the weekend I have been reading Explaining Hitler: The Search for the Origins of his Evil (1998) by Ron Rosenbaum. While writing the book he visited the Bavarian state archives. He discovered that Detective Sauer, who was unhappy with Hitler's answers, had tried to reopen the case that had been closed down by Franz Gürtner, the Minister of Justice in Bavaria. However, the file that included the documentary record of the second investigation had been destroyed. Rosenbaum was surprised to discover that the original interview still existed. Detective Sauer's report, dated 28th September, 1931, stated: "His niece was a student of medicine, then she didn't like that anymore and she turned toward singing lessons. She should have been on the stage in a short time, but she didn't feel able enough, that's why she wanted further studies with a professor in Vienna. Hitler says that was okay with him but only under the condition that her mother from Berchtesgaden accompany her to Vienna. When she didn't want this. he said he told her, 'Then I'm against your Vienna plans.' She was angry about this, but she wasn't very nervous or excited and she very calmly said good-bye to him when he went off on Friday afternoon.... She had previously belonged to a society that had séances where tables moved, and she had said to Hitler that she had learned that one day she would die an unnatural death. Hitler went on to add that she could have taken the pistol very easily because she knew where it was, where he kept his things. Her dying touches his emotions very deeply because she was the only one of his relatives who was close to him. And now this must happen to him." The author of the book argues: "Setting aside for the moment the question of its truth, that strange séance story was a brilliant if somewhat desperate stroke on Hitler's part. Flourished at the last moment like a magician's cloak, it was clearly designed to obscure with a flash of fatalism what he must have known were the conspicuous inconsistencies and the overall inadequacy of the rest of his attempt to explain his half-niece's death. Even the timid, closely supervised statements of the household staff seem to contradict Hitler's statement on a key point: They report Geli looking agitated and excited, rushing from Hitler's bedroom with a gun, scarcely a quarter hour after Hitler reportedly departed. Hitler, on the contrary, declares Geli was neither nervous nor excited but rather said good-bye to him 'very calmly.' This appears, on the face of it, to be a feeble attempt to detach the quarrel he admits to having had with Geli-the dispute over whether she could travel to Vienna alone-from her decision to kill herself. As if, in the fewer than fifteen minutes between the time he left and the moment she raced into his room to steal his gun, something else had come up, something unrelated to Hitler, to cause Geli to decide to shoot herself." Rosenbaum also looks at the way the newspapers reported the case. He points out that the journalist, Konrad Heiden, had been involved in a campaign to descredit Hitler since 1921. For example, Heiden was one of the first to suggest that Hitler was having a sexual relationship with Geli Raubal: "One day parental relations to his niece Geli ceased to be parental. Geli was a beauty on the majestic side ... simple in her thoughts and emotions, fascinating to many men, well aware of her electric effect and delighting in it.... Her uncle's affection, which in the end assumed the most serious form, seems like an echo of the many marriages among relatives in Hitler's ancestry in its borderline incestuousness." Another journalist who played an important role in the investigation was Fritz Gerlich. He was the editor of the anti-Nazi, Der Gerade Weg, investigate Geli's death in great detail. According to the son of a man who worked for Gerlich, the newspaper got hold of a copy of "a state's attorney inquiry into the matter of Geli Raubal" that purportedly "showed that Geli was killed by order of Hitler." It is believed that Gerlich was working on the story when on 9th March, 1933, Max Amann and Emil Maurice led a gang of stormtroopers into the Gerlich's offices, smashed all the machines and destroyed the contents of desks, files, cupboards and drawers, including the copy for the next issue of the newspaper. Gerlich was taken to Dachau where he was murdered on 30th June, 1934, the Night of the Long Knives. To notify his wife, they sent her his blood-spattered spectacles. 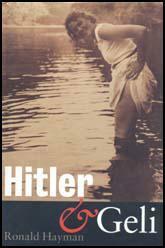 Heiden managed to escape to Switzerland where he published a series of books on Hitler including Birth of the Third Reich (1934), Hitler: A Biography (1936) and The New Inquisition (1939). Ron Rosenbaum is not convinced that Adolf Hitler was a sexual pervert or the murderer of Geli Raubal. He takes the view that Hitler was the victim of a propaganda campaign led by Gerlich and Heiden. I am not personally convinced by his arguments. He rejects the evidence against Hitler that has been put forward by Konrad Heiden, Fritz Gerlich, Ernst Hanfstaengel, Gregor Strasser and Wilhelm Stocker as propaganda, while believing the testimony of Maria Reiter, that has been rejected by most historians as "fantasy". Rosenbaum does make one very interesting point: "There are those who believe that with Geli Raubal, Hitler experienced the closest he came to real love, the closest he came to the emotional life of a normal person. But there are also those who believe that in his relationship with Geli Raubal, Hitler expressed the true, profound deformity of his moral nature in perverse sexual practices (we call them paraphilia these days) that either drove Geli to suicide or led to her murder to prevent her from talking about them... It's troubling because the temptation in sifting the evidence for what really went on between Hitler and Geli Raubal is to believe the darkest rumors - and some of them are extremely dark - because it is somehow more comforting to view Hitler as a monstrous pervert in his private life. Then his public crimes can be explained away as arising from private pathology, from his unnaturalness, from a psyche that isn't in any way 'normal.' that isn't in any way akin to ours, one whose darkness we don't have to acknowledge as in any way related to ours. Paradoxically, it may be far more disturbing to find Hitler 'normal' capable of 'normal' love, for instance - because it would in some way make it seem that there was something of us in him. Or worse: something of him in us."